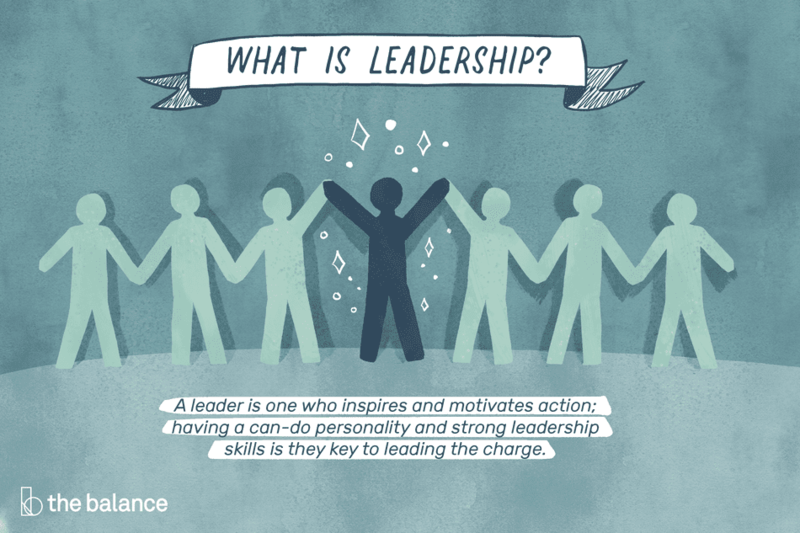 This leadership definition captures the essentials of being able to inspire others and being prepared to do so. Effective leadership is based upon ideas (whether original or borrowed), but won't happen unless those ideas can be communicated to others in a way that engages them enough to act as the leader wants them to act. Put even more simply, the leader is the inspiration and director of the action. He or she is the person in the group that possesses the combination of personality and leadership skills that makes others want to follow his or her direction. In business, leadership is linked to performance and any leadership definition has to take that into account. While it's not solely about profit, those who are viewed as effective leaders are those who increase their company's bottom lines. If an individual in a leadership role does not meet profit expectations set by boards, higher management or shareholders, her or she may be terminated. The terms "leadership" and "management" tend to be used interchangeably. Management refers to a company's management structure as its leadership, or to individuals who are actually managers as the "leaders" of various management teams. Leadership requires traits that extend beyond management duties. To be effective, a leader certainly has to manage the resources at her disposal. But leadership also involves communicating, inspiring and supervising - just to name three more of the primary skills a leader has to have to be successful. History is full of people who, while having no previous leadership experience, have stepped to the fore in crisis situations and persuaded others to follow their suggested course of action. They possessed traits and qualities that helped them to step into roles of leadership. Writing in Forbes magazine, Erika Andersen, author of "Leading So People Will Follow," says, like most things – leadership capability falls along a bell curve. So the fact is that most folks who start out with a modicum of innate leadership capability can actually become very good, even great leaders. Steve Jobs is a classic example of someone who was probably not born to be a leader. After starting Apple Computer from his garage in 1976 he was fired by the board of directors in 1985 when the company was under intense competition and he disagreed with the CEO on of the future direction of the business. After founding Pixar Animation Studios and NeXT Computer he was eventually rehired by Apple in 1997 as CEO and went on to develop the revolutionary iPod, iPhone, and many other products. By all accounts, Steve Jobs was a very mercurial genius who early in his career routinely yelled at employees, co-workers, partners, and vendors. According to some ex-employees of Apple and NeXT, he was intolerant of anything he viewed as a failure and his foul-mouthed tirades were the stuff of legend. He apparently believed in being brutally honest with others and that their feelings were irrelevant. He did not conduct formal reviews with employees and was very sparing with praise for a job well done. However, according to biographies, such as "Steve Jobs" by Walter Isaacson, as he matured his management style began to shift and he began to moderate some of his more negative traits and have more empathy for others, realizing that people had limits. Upon his return to Apple, he was forced to cut staff and was quoted as expressing concern for families of employees that were laid off. Jobs died on October 5, 2011 at the age of 56. Even after his death, his reputation lives on. An October 2018 article in Forbes magazine stated, "Today precisely seven years after his [Jobs] passing his name is still synonymous with visionary, genius, innovator, and icon."